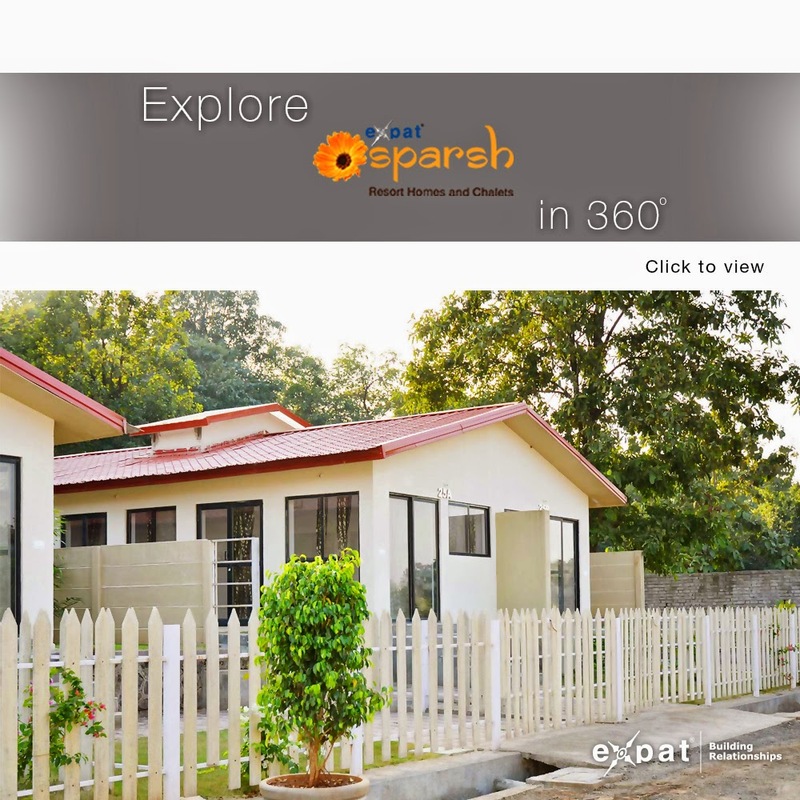 Expat Sparsh, located in Karjat near Mumbai, is the perfect getaway to create memorable moments with your family. It offers you an opportunity to invest in fully furnished weekend homes that are carefully planned to let you and your family enjoy your weekends in a resort atmosphere, at a home away from home amidst greenery, tranquility and various amenities. Expat Sparsh is located in Karjat, 90kms from Mumbai - a famous holiday destination which is also a declared residential green zone. Sparsh consists of 1 BHK, 2BHK Chalets and Studio Apartments. The chalets are constructed on plots of varying size ranging from 1300 Sq. ft. to 4500 Sq. ft. The built up area of 1 BHK Chalets is measuring to 550 Sq. ft. and 2 BHK Chalets is 660 Sq. ft. The size of each Studio apartment ranges from 320 – 360 sq. ft. and it is a G+2 construction. Tourist destinations like Lonavla, Matheran and Khandala are in close proximity. It is well connected via road by the Bhimshankar highway, railways with Neral and Karjat stations, via Mumbai Airport and the proposed Navi Mumbai Airport in Panvel is just 54 Kms away from Expat Sparsh. Karjat, is in Raigad district overseeing great industrialization and infrastructure developments.